Francis Marion University is a four-year liberal arts university in Florence, SC. The institution began as a University of South Carolina regional campus and became a state-supported college in 1970. Named Francis Marion College for General Francis Marion who served in the American Revolutionary War, it became a university in 1992. The university archives are housed in the James A. Rogers Library. 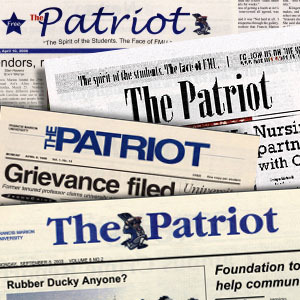 Their digital collections continue to grow with this addition of the Patriot student newspaper, spanning the years 1997 to 2015.